I don’t know about you but I love magnetic eyelashes! So, unless you’ve been living under a rock lately, you’ve probably heard of the recent makeup trend: magnetic eyelashes. They’re taking over the makeup world. And everyone’s going crazy about this new makeup addition. And I understand why. Who doesn’t want bold, impressive and dramatic eyelashes? We all crave for that long and appealing lash line. If you do too and you have questions around the magnetic eyelashes, this article is for you! I will answer the most common questions on this topic. Is it safe to have magnets near your eyes? And the answer is: YES! They’re perfectly safe as regular fake eyelashes. However, you should be very careful not to injure your eye when placing/removing them. And, pay attention to the removal process. If you don’t, you will tear out your real lashes. This is the only risk of wearing fake lashes. Magnetic eyelashes work with micro-magnetic technology. They boost your natural lashes and give you that dramatic, appealing lash line that everyone is craving for! But looks don’t matter more than your health. That’s why most people want to know if fake eyelashes are safe before they purchase a pair and boost their entire look. They won’t cause infections, decrease your sight or damage your real lashes. In fact, they are even easier to use and a lot safer to apply than regular fake eyelashes. Plus, they look awesome! However, according to some recent studies, you might experience health issues. It all depends on your eye sensitivity and susceptibility to allergies and irritations. If you believe that you have sensitive eyes and want to learn more about this, then keep reading. Do magnetic lashes ruin your real lashes? How do I apply magnetic eyelashes? Can you sleep with magnetic eyelashes? How to remove magnetic eyelashes? As I said before, loud and clear: NO! They don’t ruin your natural lashes. However, you can ruin your natural lashes if you’re not careful during the removal process. I will share some tips and tricks on how to remove your magnetic eyelashes later in this article. But before I do that, let’s learn more about the effect magnetic eyelashes have on the eyes and lashes. According to the British College of Optometrists, false eyelashes and eyelash extensions aren’t harmful unless you use them very often. But if you do, you might experience traction alopecia. It’s a condition where you start losing your natural hair due to constant tension put on your hair shaft. However, fake eyelashes have been associated with other issues as well. For example, changing the length of eyelash might boost airflow around your eyes and attract more dust inside. Did you know that dust and air can dry out your eyes quite fast? This was proven by a Ph.D. at the Georgia Institute of Technology, Guillermo Amador. His study has proven what I just said. However, as I mentioned earlier, it all depends on your eye sensitivity. And some common mistakes people make before applying their false lashes. However, if you want to learn more about those common mistakes and how to avoid them, keep reading. However, before that, I want to teach you how to apply magnetic eyelashes. Just remember that you should contact your eye doctor before you decide to give false eyelashes, magnetic eyelashes, and other lash extensions a try and discuss the matter. If you’re new to this, you’re probably scared and don’t know how to apply magnetic lashes. However, it’s not rocket science. Relax and let me guide you through the entire process. First and foremost, check the instructions written on the packaging. Different products require different instructions. Applying them is very simple with most magnetic eyelashes. If you want a more natural look, I recommend that you trim your eyelashes. Once you trim your fake lashes, they will fit better. Also, keep in mind that you’re can apply mascara over your magnetic eyelashes to boost their volume and you’re not satisfied with how they look. If it makes you feel more confident, why not? Next, focus on applying the top and bottom lash. Do you remember how hard was it for you to glue regular eyelashes? Well, you can say ‘bye bye’ to regular fake eyelashes and salute your new favorite magnetic eyelashes with a smile on your face. They won’t cause any fuss or mess. On the contrary, they help you lock your lashes in place without using a glue, which is great! Some of them come with tools for application. However, if you don’t get tweezers, you can still apply with your fingers. If you are totally new to this fake lashes trend, follow these 3 easy steps and you’ll do just fine! When you’re applying fake eyelashes, always put a clean microfiber cloth in front of you in case your lashes fall out of your hands. They will fall on something clean. This will prevent your eyelashes from getting lost and your eyes from getting irritated by dust or bacteria. Step 3: Finish with the bottom lash and hit the party! Same application process applies to the bottom lash. You can recognize the bottom lash by the length or label on the packaging. Apply as close as you can to your lash line. Follow the manufacturer’s instructions if you face any difficulties. Or watch the video I suggested. The top and bottom lash should click in place. And once they do, it’s time to hit the party! Can you use mascara on magnetic eyelashes? As I mentioned before, yes! You’re allowed to apply mascara on magnetic eyelashes if you aren’t very satisfied with how they look and boost your eye makeup even more. However, I recommend that you check the expiry date and make sure that your mascara it’s usable. If yes, apply some and help your real lashes to blend with the fake ones. It’s perfectly safe to apply mascara before and after you apply the magnetic eyelashes. However, don’t apply too much if you don’t want sticky eyelashes. One layer should do it! Magnetic eyelashes can be easily removed. No makeup remover is needed unless you have applied mascara on top of them. Otherwise, it’s an easy process. And why not take them off before you go to sleep instead of sleeping with them on and feeling uncomfortable? Laziness? Although it’s not forbidden and bad for your eyes to sleep with magnetic lashes, it’s still not recommended. I don’t know about you but I always remove my makeup before I go to bed. With removing your magnetic eyelashes or regular lashes, you’re protecting the products from getting bacteria and causing irritation/inflammation the next time you put them on. Removing fake lashes isn’t something you should be afraid of! It’s actually simple and easy, especially magnetic lashes. All you have to do is lift the top lash gently and pull out. Do the same with the bottom lash. However, make sure that you do not tear apart your real ones. Pulling fake lashes in the straight direction isn’t recommended because you will ruin them. Use your index finger and thumb in order to slide apart the fake eyelashes. Everything you do for the first time seems complicated and hard to apply or remove, especially eyelashes. If this is your first time using magnetic lashes, don’t worry. It takes time and practice to apply and take them off. Shift them between your fingers until you feel the magnets come apart. After, pull them away gently and store them someplace safe and clean for later use. Some magnetic lashes come with a container for further use. If you bought a pair with one, you should always store them and make sure they’re not exposed to bacteria. If you take good care of them, magnetic lashes will take good care of your eyes and lashes too. 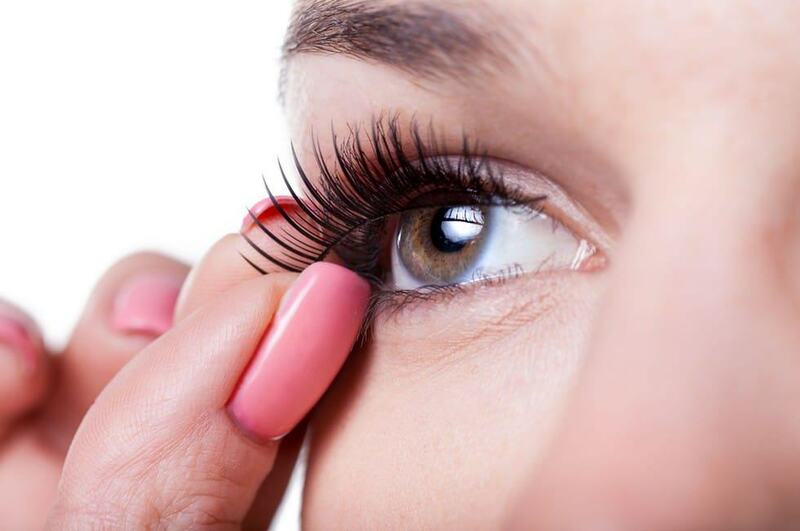 If you want to protect your eyes from irritation and make magnetic lashes last longer, avoid the common mistakes that people make with fake eyelashes and follow these tips. It is very important to wash your hands every time before you apply for lash extensions if you want to keep your eyelashes clean and your eyes well-protected. Damp your hands and use soap. Scrub them for about one minute before rinsing. Dry them out with a clean towel. Next step is allowing letting your makeup dry completely before you add false eyelashes. This is important because you don’t want to mess up your eyeliner and mascara, if you have applied some, of course! If not, you’ve got nothing to worry about. Some experts suggest that you apply minimal eye makeup until you get used to the idea of wearing false lashes. Last but not less important mistake every beginner makes is applying fake eyelashes for the first time and going out right after! I can tell from experience that this isn’t a good idea. Why? The first time I applied false eyelashes, they fell off in front of my partner. In order to avoid this from happening, practice wearing false lashes at home before you go out in public. Give your eyes some time to process the fact that you are wearing extensions and get used to the idea. After a few times, it will get easier and less awkward. I promise! Extra tip: Although your magnetic eyelashes do not require frequent cleaning like regular fake lashes, they still do need some cleaning from time to time. 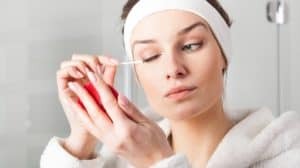 If you’ve applied mascara, damp a cotton pad in eye makeup remover and swipe the liquid across the full length of the eyelashes in order to remove all the makeup, dirt, dust, and bacteria. Repeat the same with the other eyelash and store your magnetic eyelashes in their container or someplace safe. I’ve answered some of the most common questions people ask on the internet. I’ve shared a few tips on how to apply, remove and maintain your magnetic lashes. 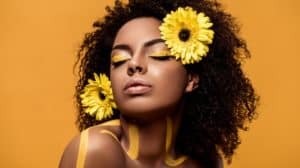 If this is your first time using magnetic eyelashes or false lashes at all, I hope that this article will serve as a guide on how to get used to them and wear them with confidence. Not every person is born to wear fake eyelashes. Some can’t stand the idea of having something on their eyelashes. I felt the same the first time I wore false eyelashes. And I can tell, they’re totally worth the time and effort you put into adjusting. Since I wear magnetic eyelashes, I feel like I’m always admired by both males and females, no matter where I go. If you are not confident with how your natural lashes look, don’t hesitate and purchase your first magnetic lashes!